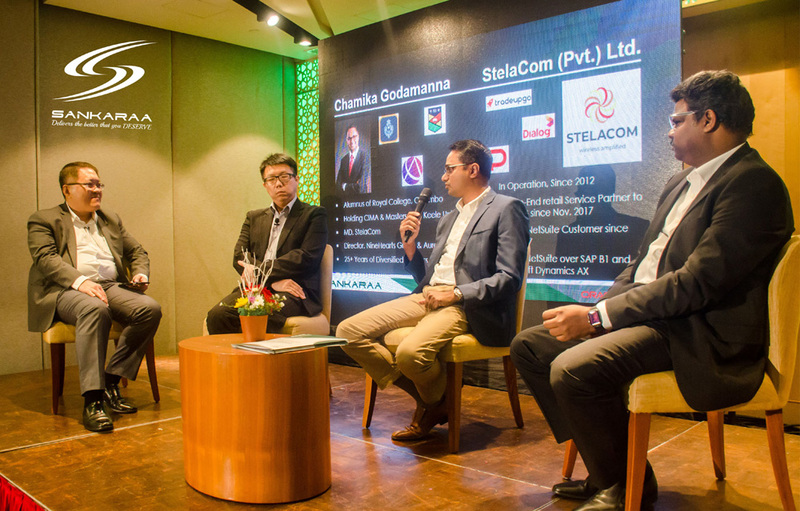 SANKARAA Tech, one of Sri Lanka’s leading cloud based Business Application, Implementation and Support service provider, recently held its complete Cloud ERP solution product demonstration and client success story sharing session at Hilton Residencies. The occasion was graced by top executives and served first-hand and up-to-date knowledge on integrated business management solutions to empower businesses and leverage on growth opportunities in cloud computing. Identified as the Oracle’s preferred partner, SANKARAA Tech specialises in delivering Enterprise Resource Planning (ERP) solutions using the world’s #1 cloud-based business management software, NetSuite®, as a Service model. NetSuite provides a suite of cloud-based applications, including Financials, Order to Cash, Procure to Pay, Inventory, Manufacturing, Project Management, CRM and Ecommerce. The platform is used by more than 40,000 Organizations and Subsidiaries in 110 countries, supporting over 190 Currencies and 20 most widely used languages. Being the service partner of the Singapore based MSaaS, SANKARAA Tech is successfully pioneering its flexible solutions across several verticals, including software, professional services, wholesale distribution, retail, financial services and manufacturing, with customisable benefits, allowing local clients to automate their ERP and CRM operations with minimum hardware requirements and rapid implementation capabilities. During the panel discussion moderated by Peter Quek, Oracle NetSuite’s Regional Channel Sales Director for Asia, Chammika Godamanna, Managing Director of StelaCom, emphasised the importance of having a modern, agile business platform that could scale rapidly while ‘future-proofing’ companies for long-term innovation and growth. “We looked at other established ERP, but NetSuite was the clear winner in meeting our requirements for cost-efficiency, fast deployment, real-time visibility into the business and flexibility. And with the support of the right people with the right knowledge and the right commitment at SANKARAA Tech, we managed to implement NetSuite ERP in 10 weeks.” he concluded. Photo caption: Left to right – Peter Quek (Regional Sales Director Asia, Oracle NetSuite), Rayson Lim (Group CFO, Multichem Group Singapore), Chamika Godamanna (Managing Director, Stelacom) and Siva Sankar (Director, SANKARAA Tech).